It really feels great to know that someone loves you. The one who’s always there if you have problem. The one that will make an effort just to make you smile when you are sad. The one who will worry for you if you’re sick. Who will make an effort to call you if you’re angry. The one who will text on others phone if he doesn’t have his, just to say he misses you. The one who will not get tired of saying I love you. 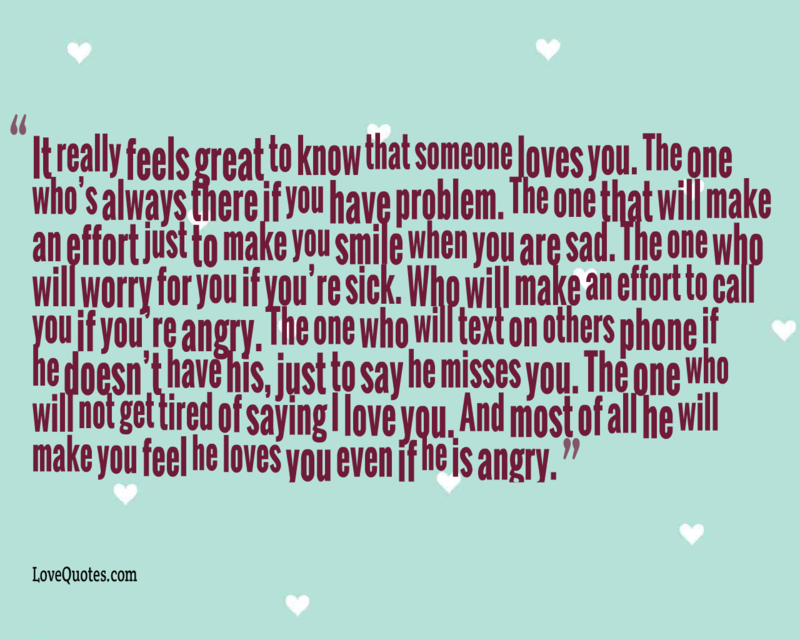 And most of all he will make you feel he loves you even if he is angry.